What are the Most Common Causes of Hip and Leg Pain? 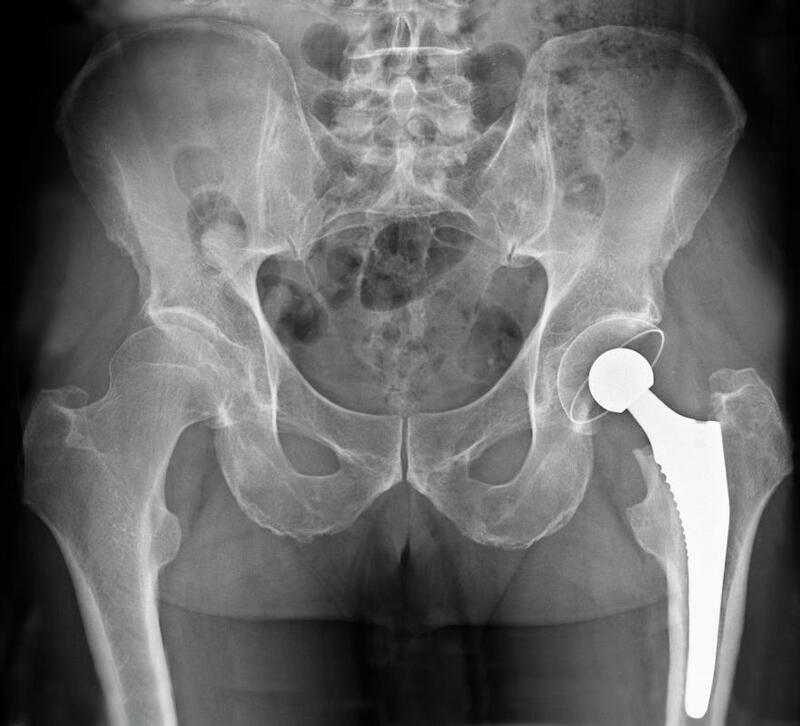 Serious damage to the hip may require a hip replacement to fix. Deep bruises may cause hip and leg pain. Sciatica can cause pain in the lower back, hip and leg. The most common cause of hip and leg pain is direct trauma, perhaps during athletic activity, a fall, or another type of accident. Bone fractures, muscle strains, ligament sprains, and deep bruises are all injuries that can cause hip and leg pain to varying degrees. Sciatica is another common cause of hip and leg pain; the sciatic nerve runs from the lower back all the way down the back of each leg, and when this nerve gets compressed for any reason, pain can be felt in the hips, legs, buttocks, and even the lower back. Overuse of muscles can also lead to pain, as can sitting or standing for too long. As muscles tire, they tend to tense up. This tension can lead to discomfort in the legs and hip, and since the muscles of the legs are, in many cases, attached to muscles of the hips, tense muscles in one area can lead to pain in the other. Hip and leg pain can result from overuse during physical activity, but it can also be caused by underuse of the muscles. The weaker muscles become, the more easily they will begin to tire. Regular exercise and stretching can help keep muscles strong and limber, thereby preventing hip and leg pain due to tense muscles. Sciatica can be caused by tight muscles as well, but more commonly, sciatic nerve pain is a result of compression in the spine. As vertebrae press closer toward each other, the sciatic nerve endings near those vertebrae can become compressed. The nerve will then send a shooting or sharp pain anywhere along its length, meaning hip and leg pain are both possible due to this compression. Pain may also be felt in the buttocks or lower back, or even as far down as the calves. Regular stretching and exercise usually helps alleviate sciatic pain, but in more severe cases, anti-inflammatory medication or even surgery may be necessary to correct the problem. Any number of injuries can cause hip and leg pain, and most hip and leg injuries are the result of a trauma of some sort. A fall, for example, can impact the hip by fracturing a bone, tearing a muscle, spraining a ligament, or even tearing the skin. Such injuries are common among just about all segments of the population, but they can be particularly damaging in the elderly, since humans tend to lose bone mass as they age, thereby making them more susceptible to breaks. What Are the Most Common Causes of Sharp Leg Pain? What are Different Types of Running Hip Injuries? What are the Most Common Causes of Leg and Lower Back Pain? What are the Most Common Causes of Back and Leg Pain? What are Different Types of Leg Injuries? What are the Most Common Causes of Upper Leg Pain?